We are in the days between Pesach and Pesach Sheini, the second Pesach. No, it is not anything to be anxious about, because the only thing we need to do is bring out the left-over matzah from Pesach and we are all set. Pesach Sheini should command our attention because it serves to model some fascinating messages. Pesach Sheini came about differently from all of the other Mitzvos. At the first anniversary after the Exodus from Egypt, there were some people who were tamei (spiritually impure) and therefore could not offer the Pesach sacrifices. ה׳ had commanded the Jewish people to celebrate the anniversary with the same sacrifices that they had offered when they actually were leaving Egypt. But those people who were tamei complained that they were losing out, and they did not want to be denied the privilege of offering the Pesach offerings. ה׳ then added a mitzva, something that was not done in any other circumstances, that we refer to as Pesach Sheini. There is a common phrase that the Previous Rebbe uses to describe Pesach Sheini. Nothing is ever lost. עס איז ניט קיין פערפאלן. One can always correct a misdeed, whether the person was tamei, at a distance or even if the misdeed was intentional. 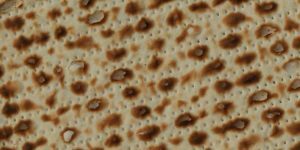 There are several opinions that define and delineate halachically (according to Jewish law) what the purpose of Pesach Sheini is. I would like to focus on one of them, the opinion of Rebbi, that Pesach Sheini is a תשלומין. When looking at the root of the word תשלומין, we find 2 meanings. The first explanation comes from the word השלמת החסרון, to make up something that is lacking. The second comes from the term שלימות, to make something complete. Even when nothing is missing, there can be an addition that brings a completion to the picture. The example given is that of a leap year. A regular year is a complete year, nothing is missing, we are not denied any holidays at all, but a leap year is called תמימה-full, perfect. Pesach Sheini reflects both of these concepts in the message of תשובה-repentance and return. Those who return and strengthen their observance of Torah and Mitzvos are motivated by the intense desire to recap what they missed in previous years and dedicate themselves to improving and advancing in their Jewish observance. Message number 1 of Pesach Sheini. There was something missing in my life and now I am going to make it up. The צדיק, righteous individual on the other hand is and has always been righteous. There is nothing for him to “make-up”. In giving צדקה, there is a level of giving, whereby one must provide a person who was wealthy and the wheel of fortune turned on him and he is destitute, to the level of his previous level of wealth. He is not lacking with less, but it is not what he was previously used to, and the Torah recognizes this need. So, Pesach Sheini addresses both life positions of improvement where there is a need, and bringing completion, added perfection and beauty where nothing is even missing. One day with a message for everyone. Our children are also entitled to be educated with the message of Pesach Sheini. It is normal for people to be missing knowledge in their lives. With one it is a case of maturity, maybe the grade 1 non-reader just needs the maturity of some time, and they will be fluent readers, and maybe needs something more. With another it may be a different approach to teaching that is needed. With another it could be that they are missing some skills, that when they are learned, everything will fit into place. With someone else they may be struggling with an issue at home and cannot concentrate in school. We must just never give up on anyone. CyberSem is now offering a course called Accelerated Chumash 101 for women who did not attend a Jewish Day School, but their children are. Enabling you to catch up on the content of grades 3-8 will open up new texts that until now were closed and doing homework with your children even in Torah are some of the benefits and goals of this course. It is 12 weeks long, completely online and is run with an instructor and engagement with classmates.